The Pool was proposed by Jesse A Rutherford in the early 1970's to provide recreation to the community of Ypsilanti MI and the surrounding areas. Funding assistance was provided from the Federal government via a general revenue sharing program that allowed not only the pool to be built but a new firehouse and the move of City Hall to it's current location on Huron and Michigan Avenue. The biggest challenge at the time was where to locate the pool as of course everyone preferred to have it close by. After an exhaustive study and research Ypsilanti Recreation Director Jesse Rutherford determined that Recreation Park would provide access to the largest amount of Ypsilanti residents. The flood plain study for Riverside park showed possible flooding issues and putting the park on the far south or north side of the city would limit it's use due to access. At the time the Ypsilanti High school pool was being utilized by many from the eastern side of the city. With the help of Mayor George Goodman, a majority vote by City Council decided that Recreation Park was the best location. Construction began and the pool opened in 1973 at a cost of approximately $200,000. The pool was later renamed the Jesse Rutherford Pool after his death in 1976 because of Jesse's service to the city and his effort and drive to get the pool constructed. 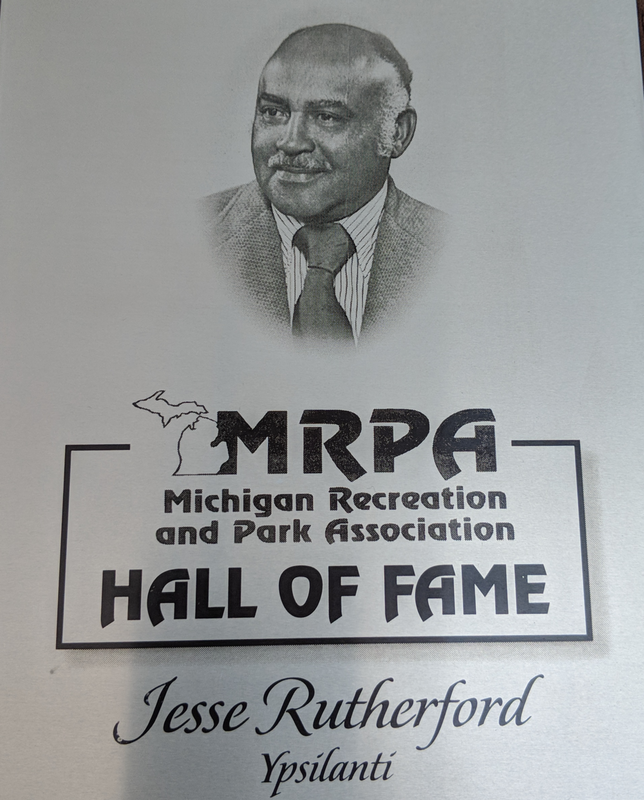 Jesse was also the first African-American to serve on the State of Michigan's Recreation and Parks Association, a post he was elected to in 1968. The pool lasted for many years, even as the city folded the Parks and Recreation department into other departments and the initial Friends of Rutherford Pool members took over the upkeep and daily management of the pool in the early 2000s. Sadly even with all of their efforts the Friends of Rutherford Pool had to close the pool after the 2011 season because of numerous failures. With energy, commitment, determination and hard work the Friends of Rutherford Pool raised over one million dollars via grants and donations, from the State, County, Foundations, local businesses and residents. The pool was completely rebuilt and reopened in May of 2014. The Friends of Rutherford Pool remained committed to ensure that the pool provide swim lessons, exercise programs and most of all a safe, enjoyable recreational experience to all Ypsilanti area residents no matter their age or ability. All are welcome to enjoy Rutherford Pool.